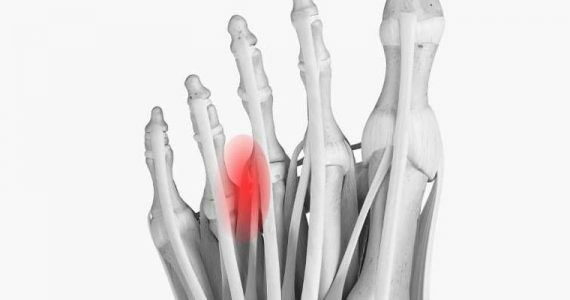 Diabetic neuropathy causes the peripheral nerves to suffer (neuroinflammation) followed by a reduction in sensitivity in the event of any cut, callus or injury in the lower limbs; this causes the patient to act, move and walk as if there were no damage. In this way, correct healing of the lesioned tissues is impaired, on the contrary creating an even more serious wound which can develop into a bleeding ulcer, infection or gangrene. Another factor that can act as a precursor to neuropathic foot is the deformation of the foot and toes that are a consequence of a reduction in the strength of some muscles groups. 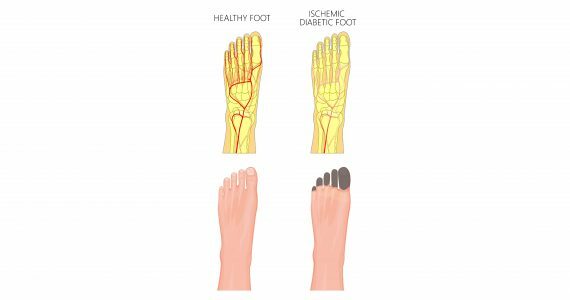 Ischaemia of the foot (in diabetic patients) is a consequence of the difficulty of arterial blood, rich in nutrients, to supply the lower limbs, thus preventing the easy and correct healing of wounds and injuries resulting from a diabetic condition. 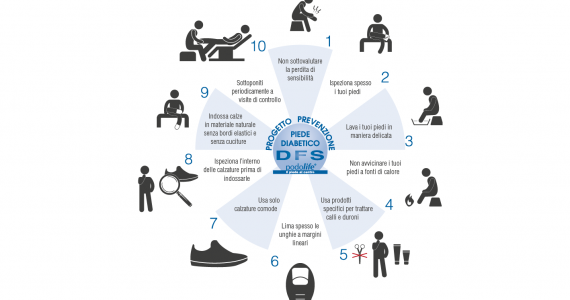 A further complication is added by the thickness of the skin which in the case of diabetic foot gets thinner, becoming delicate and fragile and therefore frequently prone to injury and trauma. The poor supply of arterial as well as venous blood, very useful for haematic and lymphatic drainage, is the consequence of a restriction of the blood vessels due to fatty deposits that accumulate and restrict the blood flow. 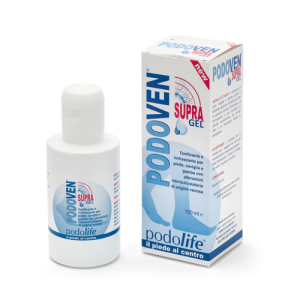 This rapid degeneration of injuries to the feet does not take place so frequently in healthy subjects because the blood is able to supply nutrients that are essential for healing the skin tissues. As already mentioned, diabetic foot is a long-term complication of diabetes which is manifested in skin wounds in the lower limbs that can develop into ulcers, infection and gangrene. This peculiar but common disorder may be associated at the same time with neuropathic and ischaemic problems. 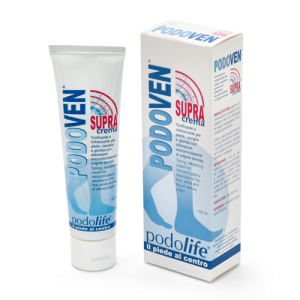 In many instances the patient with a diabetic foot condition not kept under medical supervision will require hospitalisation and partial amputation of the lower limb.